There's no debating it: Puppies are adorable. But is there an age when they reach "peak" cuteness? A new study may have an answer. 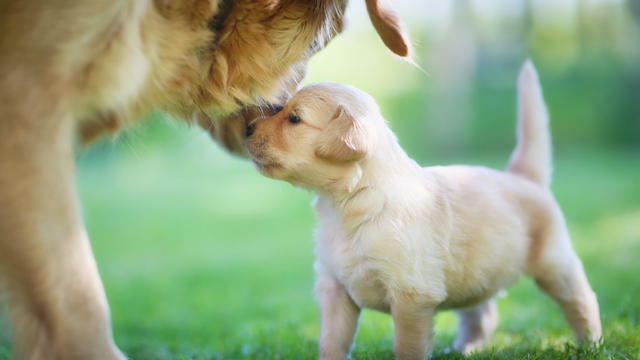 The study, which aimed to determine the "optimal age" of puppy cuteness, found that puppies are most appealing to humans at around 6 to 8 weeks of age. That's around the time when puppies are weaned from their mothers, leading the researchers to hypothesize that puppies reach peak cuteness right when they need human care the most. "Just as their mother is getting sick of them and is going to kick them out of the den and they're going to have to make their own way in life, at that age, that is exactly when they are most attractive to human beings," lead study author Clive Wynne, a professor of psychology and director of Arizona State University's Canine Science Collaboratory, said in a statement.